Submit and manage your company quality, HSE, insurance and more on a single platform, available to all of your buyers. You'll be matched with buyers looking for qualified companies like yours. No more completing monotonous questionnaires. 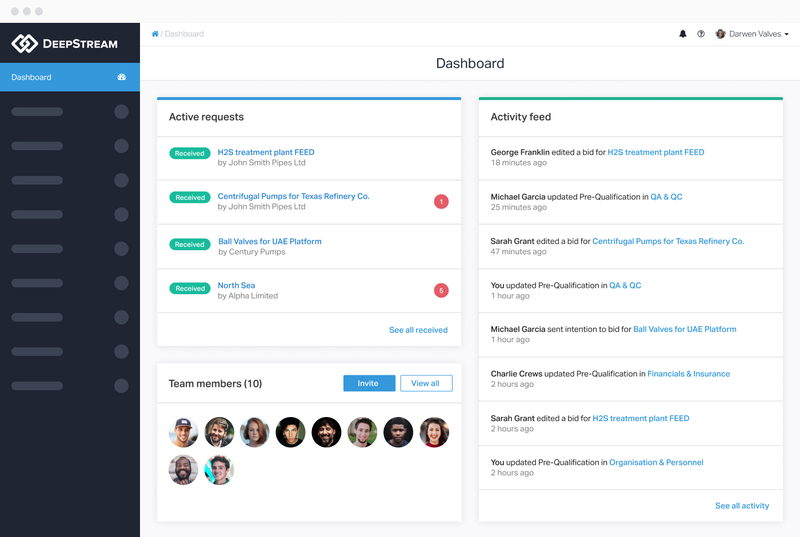 Send bids faster and collaborate with your team to know who's handling what and when. Communicate through the platform to negotiate contracts that work for all. Our simple grid-based system allows you to see buyer compliance requirements. Agree, give alternatives, negotiate and track the progress.